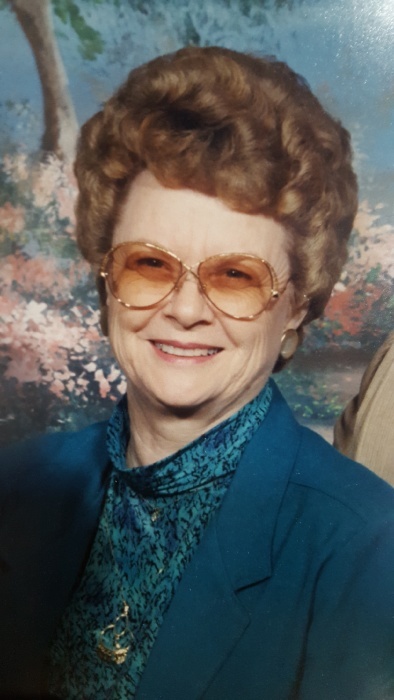 Myrtice Marie Donaldson of Geneva, AL passed away on Wednesday, April 10, 2019. She was 85. Funeral services will be held at 2 p.m. on Saturday, April 13, 2019, in the chapel of Pittman Funeral Home in Geneva with Rev. Wendell Ard, officiating. Burial will follow at Sunset Memorial Gardens with Pittman Funeral Home of Geneva, directing. The family will receive friends one hour prior to the service. Mrs. Donaldson was born in Geneva County on June 12, 1933, to the late G.W. “Bud” and Annie Pearl Davidson. Prior to her retirement, she worked in sales at B.C. Moore’s for 28 years. She was preceded in death by her husband, Willie Hubert Donaldson; her sisters, Earline Nowling, Annie Faye Nowling, Cleo Adams, Linda English, and Thelma Mock; and one brother, Dan Davidson. She is survived by her daughter, Cynthia Marie Foster and her husband Glen of Geneva, AL; one grandson, Jonathan Foster of Mobile, AL; one brother, Willard Davidson of Geneva, AL; one sister, Elaine Morrison of Westville, FL; and numerous nieces and nephews.